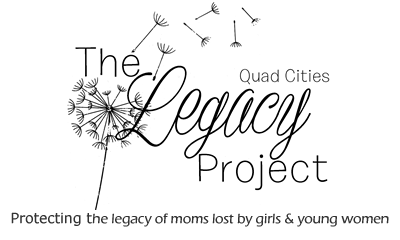 The Legacy Project is hosting a gathering for girls and young women who have lost their moms. 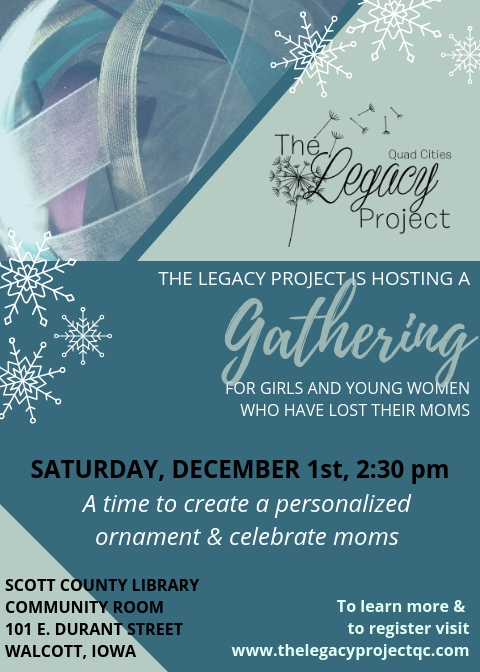 It will take place on December 1, 2018 at 2:30 pm in the Community Room at the Scott County Library, 101 E. Durant St, Walcott. We know that grief doesn’t just go away during the holidays, and often it can be an even more challenging time. 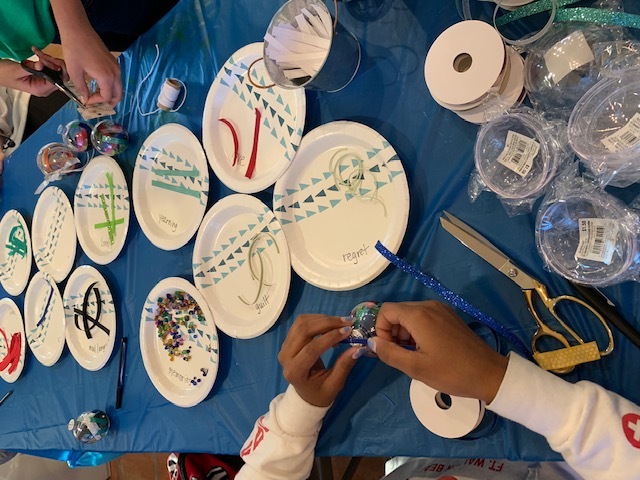 We will create unique ornaments that will help acknowledge the grief and tough feelings that this season can bring. This private event is free, but we ask for RSVPs so we can plan appropriately.